Demand in the data center industry is at an all-time high. If you follow the data center industry, you are aware of the large transactions completed by cloud companies with colocation providers over the last twelve months. The brisk activity has led to record setting quarters for the data center industry. Many fear “cloud” (insert your own definition here) will eliminate the need and growth of the colocation industry. However, over the last four quarters, cloud demand has actually driven growth for many colocation operators, as cloud companies’ capacity needs are high. 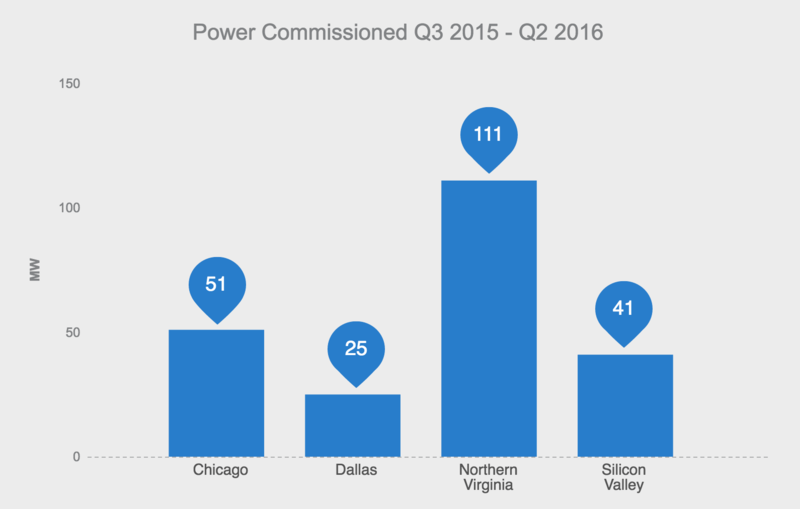 The below graph is a representation of data center market growth in Chicago, Dallas, Northern California, and Northern Virginia from Q3 2015 – Q2 2016. The majority of the increase in newly commissioned power (MW) in those markets is directly attributed to large transactions completed with hyper-scale cloud providers. Important to note: Additional transactions have been completed by these and other data center operators during this time period. In addition, the transactions listed above are also completed at different redundancy levels. Never before in the industry have transactions been completed for such large sizes in consecutive quarters. In addition, the requirement sizes are larger than the industry has ever seen.While it’s important to note we do not anticipate this demand to last forever, it is a good example of the current leasing velocity over the last year in the data center industry. The below chronological list is an example of the large, publicized transactions completed in the data center industry over the last four quarters. Most of the hyper-scale cloud transactions are pre-leases, because of their size. Pre-leasing creates challenges with future supply in major markets. While leasing large amounts of power capacity to one user is a positive for the data center operator, it can also create challenges in accommodating additional demand from existing or new customers in that market. Having the pathway to provide a facility suitable for large transactions is extremely important and data center operators are positioning themselves to accommodate this future growth. 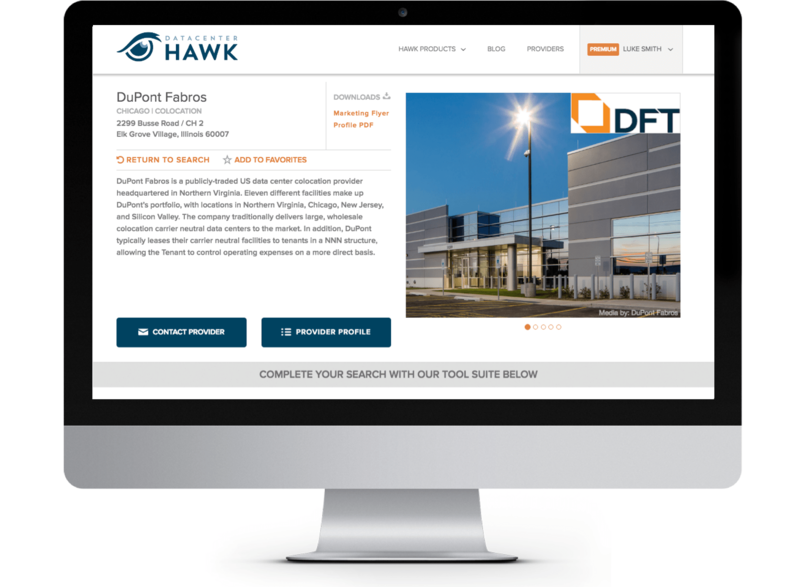 While some large providers lack inventory in major markets due to large pre-leases completed at their facilities, other data center providers are emerging and appealing to users with immediate capacity needs. Several medium sized colocation providers and newly formed companies have completed transactions with top users in markets where available capacity is at all-time lows (i.e., CloudHQ in Northern Virginia). Over the last year, large cloud transactions have created change in the colocation industry. This has led to increasingly successful financial quarters for major colocation providers, and has allowed other providers to compete for requirements major providers are unable to handle. Overall, cloud expansion has helped the colocation industry. Charting cloud demand and its continual impact will be increasingly interesting over the next twelve months.